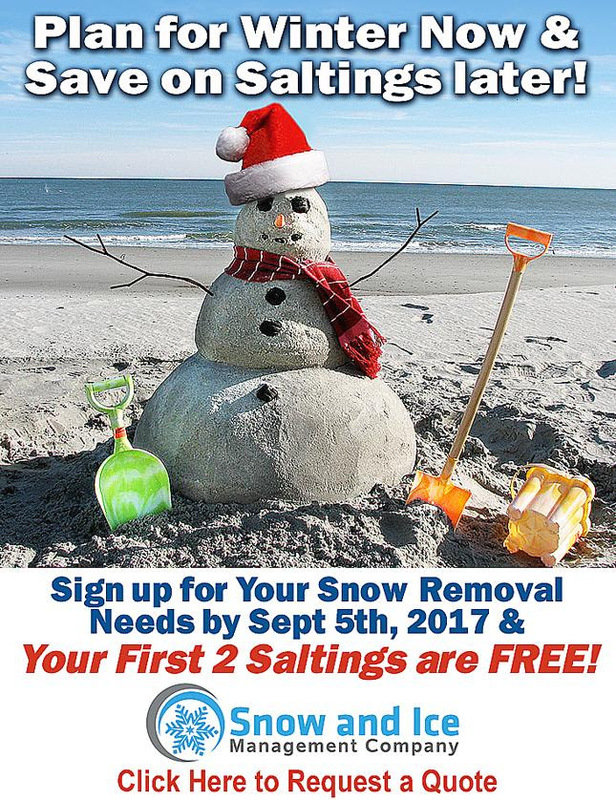 Plan for Winter Now & Save on Saltings Later when You Sign with Snow & Ice Mgmt by September 5th, 2017! Note: This offer has now expired. The snow will be here before we know it. Snow and Ice Management is working to ensure you have a safe and risk-free winter season. By signing early, we can lock in pricing with our vendors, secure the necessary salt supply and pass the savings onto you. As an added bonus, we are offering 2 free saltings to all customers who sign by Sept 5th, 2017!